Now, I myself have lambasted the legions of teenage “freaks” (especially the “punk rockers”) that think they’re making a statement by going to the mall to “freak” people out and act like they don’t care what anyone thinks of them. But, there’s also an encouraged group of mainstream types that frequent the mall, marching in and out of stores with cell phones growing out of their ears and bags shuffling against their pant legs as they stride. And I have to wonder how many of these young look-alikes are Bloc Party fans. Are they alienating an Abercrombie fan-base? Or, are they doing their damnedest to act like the voice of a generation tired of subversives? Who exactly are they criticizing? 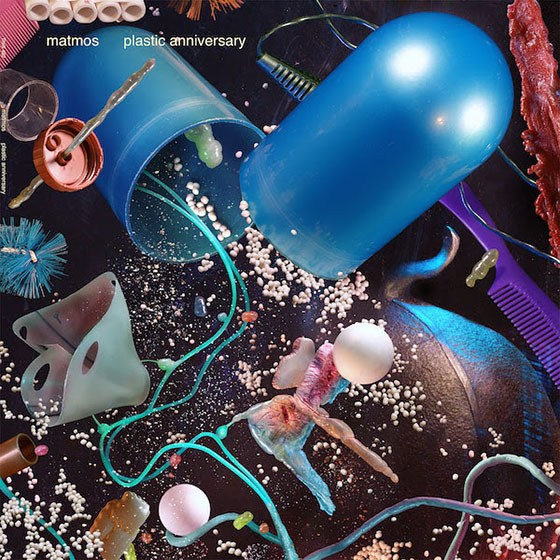 A Weekend in the City, Bloc Party’s latest release, plays like an over-produced ode to ambiguity and anthemic seriousness. Its content being based around its title, Weekend catalogues the attitudes and places, situations and events of an anonymous weekend in the urban jungle, simultaneously knocking it while making it sound like the place to be. If Bloc Party were able to speak with more than one voice, creating a character study on tape, this would work. But, Bloc Party seem so persistent in blowing load after exhaustively forced load from track to track that its difficult to think of Weekend in those terms. Instead, it comes off like a single point-of-view that begs for consideration and relies on grand hooks and slick production to drive them home. It’s like Bloc Party’s Michael Bay album: The Bigger, Badder, Explodier sequel to their previous effort, which felt a little more genuine. With “Song For Clay (Disappear Here),” Bloc Party quickly establish that you’re better off spending your weekend at the farm by comparing East London to a vampire that feeds off of joy. Urban disillusionment is compounded by “Waiting for the 7.18,” where singer/guitarist Kele Okereke ponders his desires to climb trees and eat blackberries while waiting for a train. The aforementioned “Uniform” and overly impassioned “Where is Home?,” only seem to add to the misery. Interestingly, there are three love songs sequenced together. “Kruezberg,” the first, Okereke gets laid in East Berlin but not loved. In the very poppy “I Still Remember,” a love that didn’t materialize is happily lamented in a series of would’ve, should’ve, could’ve’s and “Sunday” expresses morning-after-the-bender romance. To their credit though, Bloc Party do manage to come up with a couple winners. “Hunting for Witches” opens a critical eye at blind patriotism, likening it to the mob mentality exhibited in past events. In “The Prayer”, a hopeful individual asks the lord for a perfect night at the club, where his feet will dance well and his mouth will speak wonders. “On,” a love song to cocaine, seems to evoke more feeling and genuine passion than any of the love songs where women were involved. All this being said, I think A Weekend in the City wants to have heart, but it tries too hard to prove it. 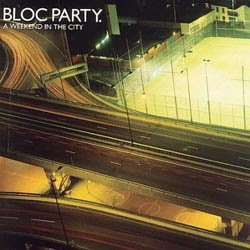 Instead, Weekend makes Bloc Party sound almost self-important, voices to an anonymous generation that’s against commerce and wants to dance, hates the city but loves cocaine. Or, maybe I just missed the point. Seriously.